I don’t think we’d be able to live without Kickstarter as a platform anymore. It’s proven to be able to provide funding for a wide variety of projects that we probably even take for granted. Star Citizen anyone? Aside from that, we can see many other independent and very ambitious projects come to fruition with the help of the very helpful public. It’s also great when those projects actually come to fruition and we can see a final project. Just today someone named Thomas Pryor listed a very ambitious project that he wishes to get funded. Tom, as he likes to be known, is asking for $650,000 in order to remake the first Metal Gear Solid using the Fox graphics engine and release it on the PS4. There isn’t much listed in the information section of his project, other than that he wishes to remake the classic Metal Gear Solid with “…a whole new level of cinematic depth only the fox engine can handle!” A very energetic statement indeed. Thomas Pryor is certainly starting a very ambitious project. Perhaps one that isn’t exactly in line with reality. The actual problems, risks and challenges he faces in this endeavor are far more daunting than his description would tell you. The development of the game itself will be the easy part, at least if it were for personal use only, or perhaps a mod that’s free for the community to download and use. He doesn’t at all have the rights to publish such a game and certainly doesn’t have permission from Hideo Kojima to do so. Another issues is that the Fox engine is proprietary and not for use by the curious public. Certainly asking for donations to make something is not a violation of any sort of IP law or rights, but publishing it very well could step into a world that he probably doesn’t want to. 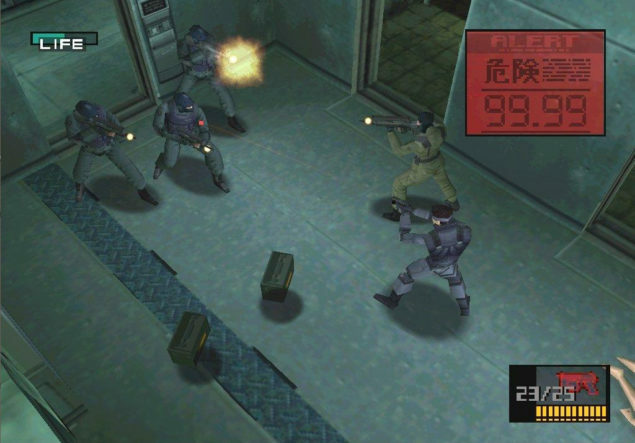 Those that have played Metal Gear Solid 1 will likely be very excited by the prospect, but don’t hold your breath just yet. It’s not likely to succeed as is, but very well may evolve to include elements that are at least familiar. I just hope that Hideo Kojima and Konami are forgiving. Hideo Kojima himself has told of plans he has for remaking Metal Gear Solid 1, and how he wants to update not only the graphics but also transition into a more open-world type of gameplay. But unfortunately he’s admitted that there just aren’t enough resources to develop the idea any further. Until then, however, we can look forward to the next installment of Metal Gear Solid V; The Phantom Pain, due out sometime in 2015. The question then becomes; Just who is Thomas Pryor anyway? How does he have access to the Fox engine and why does he tease us? A remake would be great, the gameplay was absolutely revolutionary for the time, and I loved hiding in boxes! But alas, this may not be the remake we’re looking for.